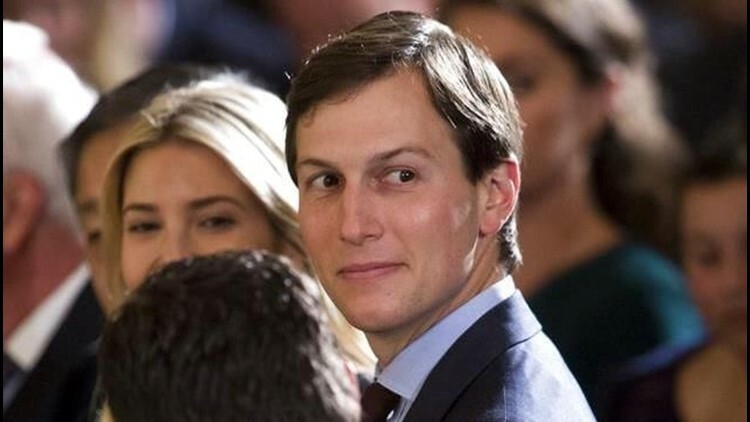 WASHINGTON (AP) — Donald Trump's eldest son, son-in-law and then-campaign chairman met with a Russian lawyer shortly after Trump won the Republican nomination, in what appears to be the earliest known private meeting between key aides to the president and a Russian. Representatives of Donald Trump Jr. and Jared Kushner confirmed the June 2016 meeting to The Associated Press after The New York Times reported Saturday on the gathering of the men and Russian lawyer Natalia Veselnitskaya at Trump Tower. Then-campaign chairman Paul Manafort also attended, according to the statement from Donald Trump Jr. He described it as a "short introductory meeting" during which the three discussed a disbanded program that used to allow U.S. citizens to adopt Russian children. Russia ended the adoptions in response to American sanctions brought against the nation following the 2009 death of an imprisoned lawyer who spoke about a corruption scandal. Trump Jr. said he invited the other two Americans, was asked to attend by an acquaintance not named in the statement, and was not told beforehand with whom he would meet. "It was not a campaign issue at that time and there was no follow up," he said. Kushner lawyer Jamie Gorelick said her client already disclosed the meeting in a revised filing of a form that requires him to list meetings with foreign agents. "Mr. Kushner has submitted additional updates and included, out of an abundance of caution, this meeting with a Russian person, which he briefly attended at the request of his brother-in-law, Donald Trump Jr. As Mr. Kushner has consistently stated, he is eager to cooperate and share what he knows," she said. Unlike Kushner, Trump Jr. does not serve in the administration and is not required to disclose his foreign contacts. The newspaper reported Saturday, citing unnamed people familiar with the matter, that Manafort disclosed the meeting to congressional investigators questioning his foreign contacts. Manafort helmed Trump's campaign for about five months until August and resigned from the campaign immediately after the AP reported on his firm's covert Washington lobbying operation on behalf of Ukraine's ruling political party. He is one of several people linked to the Trump campaign who are under scrutiny by a special counsel and congressional committees investigating Russian meddling in the 2016 campaign and potential coordination with Trump associates. The newspaper said Veselnitskaya is known for her attempts to undercut the sanctions against Russian human rights abusers. The Times also said her clients include state-owned businesses and the son of a senior government official whose company was under investigation in the United States at the time of the meeting.